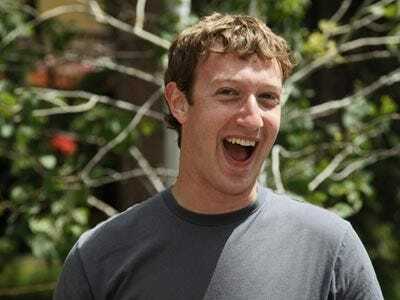 Sorting through all kinds of filings and other technical gobbledygook, the guys at the Private Equity Data centre say their new best guess for Facebook’s internal valuation is $35 billion. On SecondMarket, Facebook common shares are currently trading at a $16 billion valuation. One big reason the price keeps going up is that Russian holding firm Digital Sky Technologies is hungrily scarfing up as much Facebook stock as it can from early investors and employees. Here’s the bull’s case for Facebook. 400 million people visit the site each month. Half as many go there every day. 48% of us check the site from bed every night. On the business front, Facebook’s ad business is booming thanks to virtual game studios busily acquiring new users and brands marketing their Facebook pages (which let brands spam customers like they use to with email). There’s also “Pay With Facebook” which gives Facebook a 30% cut of the ridiculously fast growing virtual goods market on Facebook AND could end up us a one-click payment option across the Internet. According to TBI Research, Facebook revenues are on-pace to exceed $1 Billion this year. Prior to the enforcement of IRC 409A, many companies might have used a default discount such as 80% for the pricing of options. These days with IRC 409A in place, the companies now have to “show their work” when pricing these options. With that being said, we have reviewed numerous option filings by Facebook, and some of those prices of the common listed on these typically fell within a 75% to 80% discount as to the most recent round of Preferred Stock that had been issued. So, where are we going with this? The latest option filing that was filed in January 2010 priced the common at $16.17. If, and this is a big IF, we assume this price falls within a discount range applied to the pricing of some of the previous filings, this would bring the per share value of the latest round of Preferred Stock issued in May 2009 to $83.75. Using that share price and the total estimated fully diluted shares that we have calculated, this gives Facebook, Inc. a value of close to $35 BB. We are not formally saying that Facebook is valued at $35 BB, we are simply throwing another hypothesis into the discussion of valuation for the company. The Tenth Amended and Restated Certificate of Incorporation can be found here.